Harness the creativity of your team with online collaboration tools. Brainstorm and visualize ideas together, regardless of location. Here is a list of tools for collaborative brainstorming. 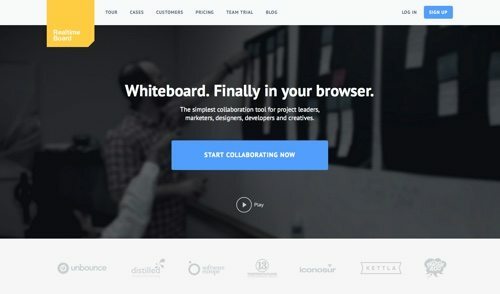 There are online whiteboards for visualizing ideas, video-conferencing platforms, file-sharing tools, real-time messaging apps, and mind-mapping tools. 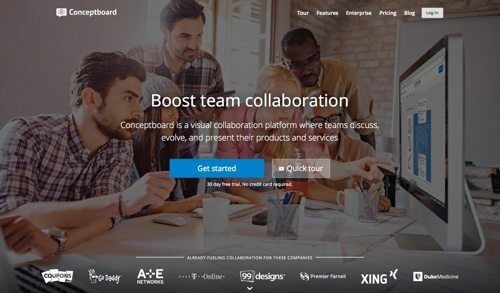 Conceptboard provides team whiteboards for real-time collaboration. Online whiteboards expand as you add content. Create with teammates or guests. Use chat for instant feedback. Quickly access a board to make changes or approve at any time. Pro plans come with an unlimited number of boards and projects. Price: Basic is free. 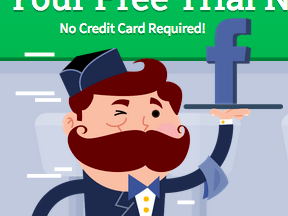 Up to 3 users for $28.50 per month. 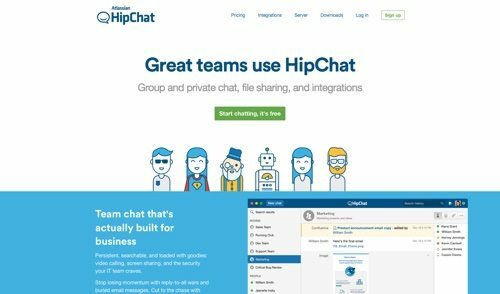 HipChat is a team chat app for creative collaboration. Share your desktop with your colleagues on any device to collaborate in real-time. Create unlimited chat rooms, and when you’re finished with a chat room just archive it. Grab files from your desktop, Dropbox, email or anywhere. HipChat shows a preview of the file to everyone in the room. Price: Basic is free. Premium is $2 per user per month. 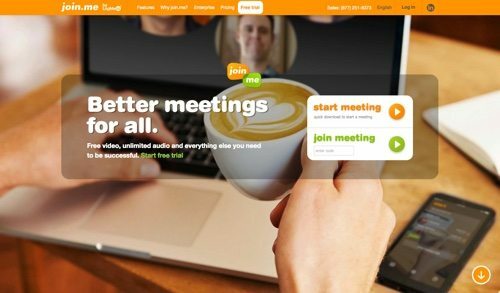 Join.me is a simple online meeting and screen-sharing service from LogMeIn. Users can view live video bubbles of one another, during video-only meetings or while simultaneously sharing their screens. Keep records of your sessions to refer to them later or share with absent participants. Set up your sessions in advance with the scheduler or directly in Outlook or Google Calendar. Price: Free up to 10 participants. Premium plans start at $20 per month. 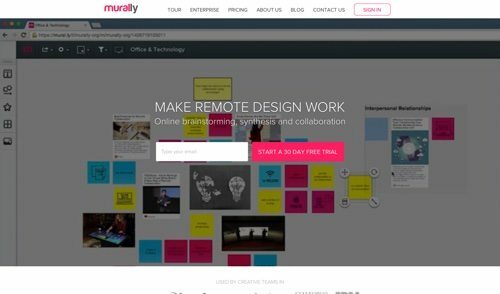 Mural.ly is a collaborative visual tool for online brainstorming and synthesis. Easily dump your ideas onto the canvas, and supplement them with multimedia from the Internet or your computer. Features like voting allow you to streamline the decision making process. Price: Plans start at 3 users per month. 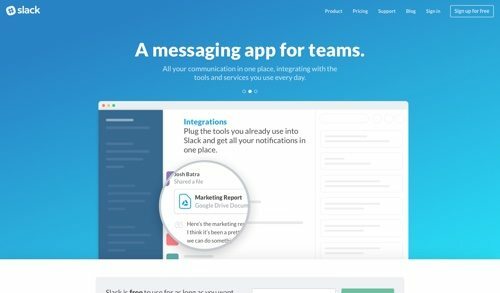 Slack is a real-time messaging platform that’s ideal for creative collaboration. Make a channel for a project, a topic, a team, or anything. All your messages, files, images, PDFs, documents, and spreadsheets can be dropped right into Slack and shared. Add comments, star for later reference, and it’s all searchable. Price: Basic is free. Premium plans start at $6.67 per month. 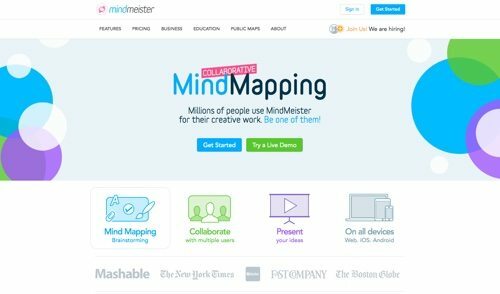 MindMeister is an online collaboration tool for mind-mapping and brainstorming with others in real-time. Revert to any particular prior revision and even play back the entire evolution of your mind map. 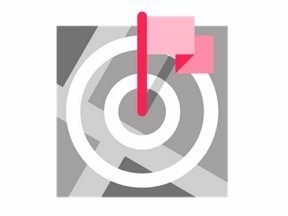 Embed maps to share your results, and use the tasks widget to assign tasks and put your plans into action. Add attachments to your creations, ensuring that important files and documents are included in your brainstorming process. Price: Basic plan is free up to 3 mind maps. Premium plans start at $36 per 6 months. RealtimeBoard is an online whiteboard for collaborative creativity. Use it as a simple whiteboard for jotting down ideas, or build a whole project on the board remotely with your team. Add Post-it notes, files, images, and documents. Access integrated libraries of icons, wireframes, and other content. Collaborate in real-time. Easily convert boards into presentations. Price: Free up to 3 boards and 3 collaborators. Premium plans start at $10 per month. GoVisually is a collaborative space to create, share, and organize ideas. Give and receive feedback with simple threaded conversations. Place comments directly on your creative, so others can see exactly what you mean. Price: Basic plan is free. Premium plans start at $15 per month for up to 20 projects. 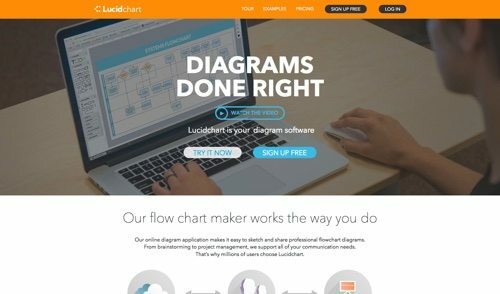 LucidChart is a collaborative diagramming tool that can function for visual brainstorming. See the edits of others, discuss their work in real-time over group chat, and leave comments directly in the document. Embed the diagram in a wiki, website, or blog and it will automatically update as you make changes in Lucidchart. Robust revision history tracks the development of your document. Price: Plans start at $4 per month. 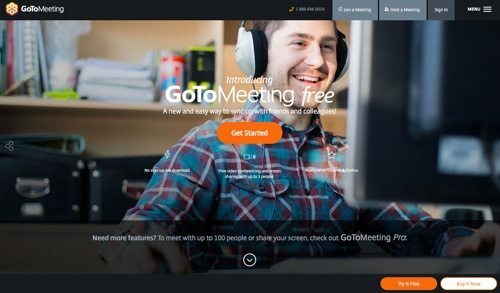 GoToMeeting is a video conferencing tool for enhanced brainstorming sessions. View up to six video streams and a shared desktop on the same screen. Desktop and tablet users can share video. Record sessions to playback later. Price: Plans start at $24 per month. 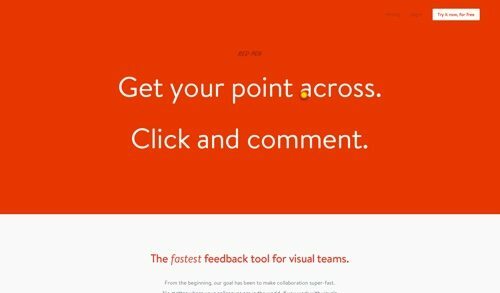 Red Pen is a collaboration tool for visual teams. Point and click to add ideas in real-time. Ask others to contribute by giving them a private link, or inviting them via email. Drag created elements together to make a project. Each image can be easily updated or replaced whenever a new version has been made. Price: Plans start at $20 per month for 5 projects. 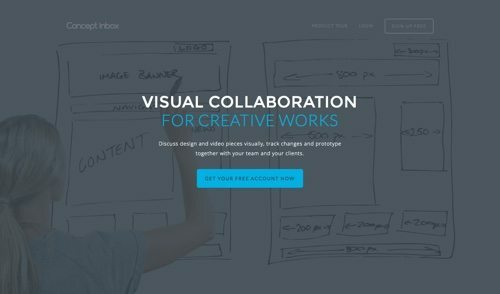 Concept Inbox is a tool to communicate and collaborate on creative works. 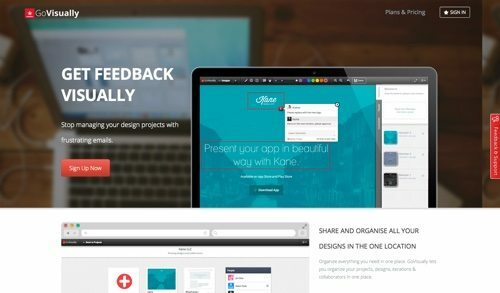 Brainstorm ideas and gather feedback in real-time. Keep everyone up to speed with automated in-app and email notifications about your project activity. Project activity is automatically archived, including comments, annotations, new files and versions. Price: Plans start at €14 per month for 3 projects. 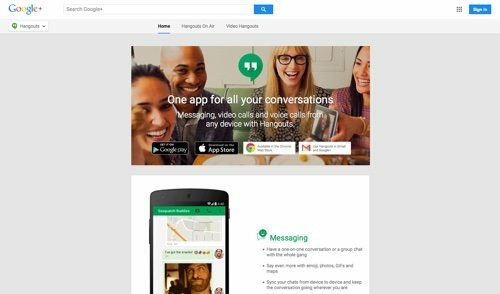 Google Hangouts is a free video or audio conferencing tool. Talk one on one or have a group chat with up to 10 people. Turn any conversation into a free video call with just one tap. Price: Free. 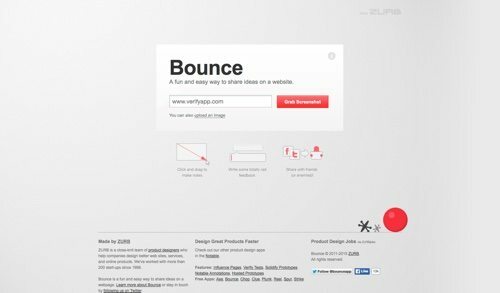 Bounce, from Zurb, is an easy way to share ideas on a web page or image. Enter a URL or upload an image as a starting point for ideas. Click and drag to make notes. Price: Free.